Fill & Discharge Connections . . 10" & 8"
Hull Plating Side Shell 1/2", Bottom 7/16", Deck 1/2"
Time to Open (Fully Closed to Fully Open).. 6 Min. 5 Sec. Time to Close 4 Min. 34 Sec. Plating Side, 9/16", Bottom, 5/8"
Deck Open Deck Area . . 25,284 S.F. 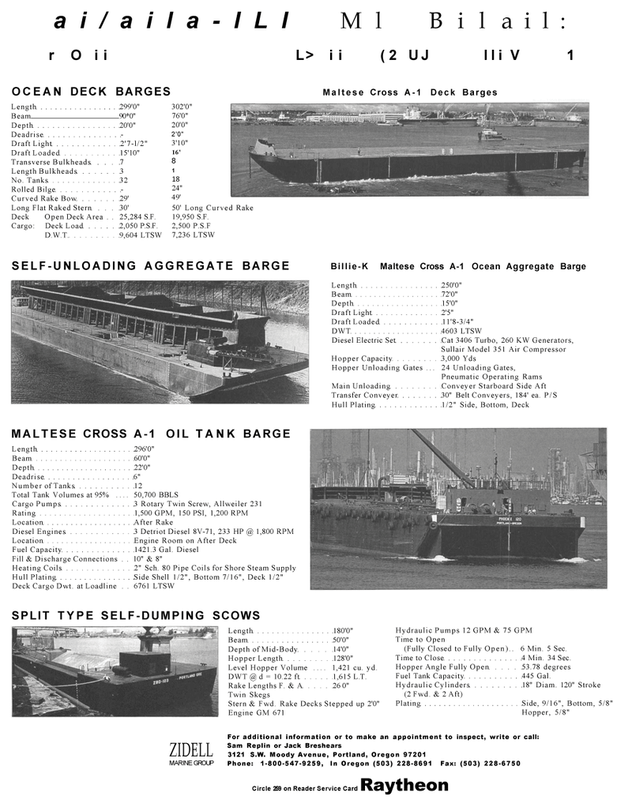 Cargo: Deck Load 2,050 P.S.F. Level Hopper Volume .... 1,421 cu. yd. DWT @ d = 10.22 ft 1,615 L.T. Rake Lengths F. & A 26 0"
Stern & Fwd. Rake Decks Stepped up 2'0"